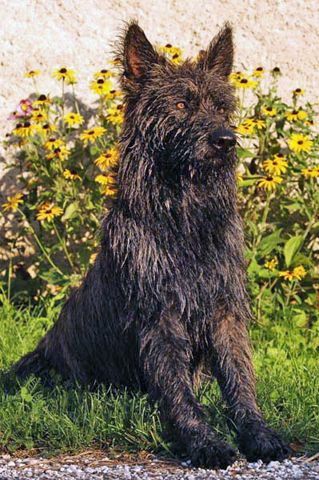 According to the French, the Picard coat comes in two basic colors: FAWN, a straw blond color, and GRAY, a dark mixture of browns, grays and blacks. 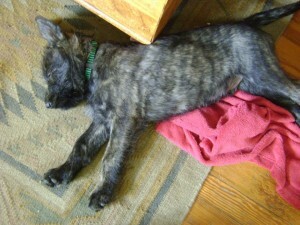 For better translation accuracy, the BPCA refers to the dark multi colored “gray” as brindle. 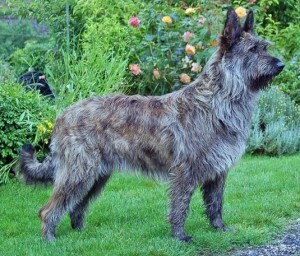 Although the word brindle is used in normal color nomenclature as a marking, the color term “gray” does not adequately describe the kaleidoscope of colors that a brindle Picard might have. 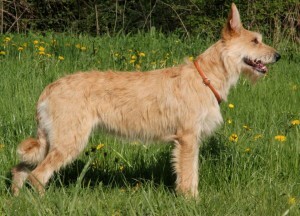 True Fawn (Fauve) is a straw blond color that has no dark markings on ears, neck or tail. This color may be very light but is never white. While historically the true fawn was one of the original colors of Picards, it has fallen out of fashion in France and is now the rarest of all the colors. 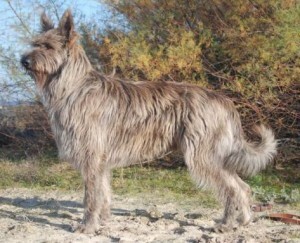 Dark Fawn (fauve charbonné) is the most common color for Picards. It features a straw blond or reddish blond top coat with points of black or gray hair on ears edges, dark necklaces or collar and always a ring of dark hair on the tail. The undercoat can be dark gray but should never overwhelm the top coat color. There will never be a saddle like a German Shepherd. 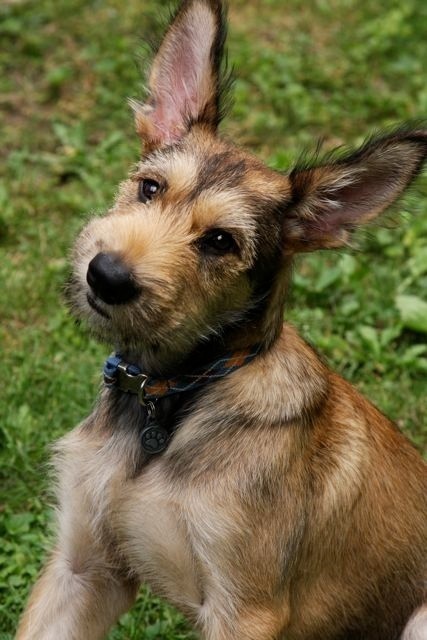 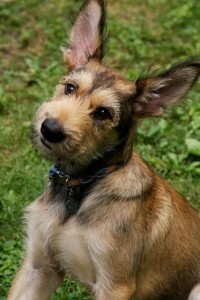 Some of the dark markings are more prominent as a puppy and will fade as the dog matures. The two fawns: vive la différence! 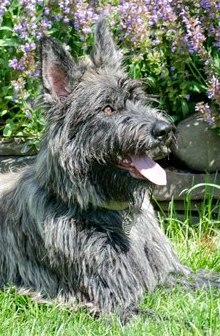 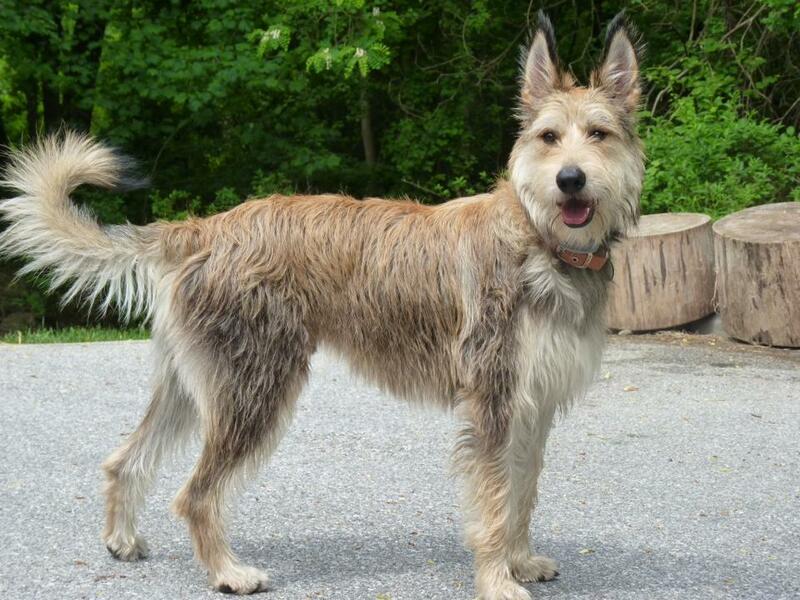 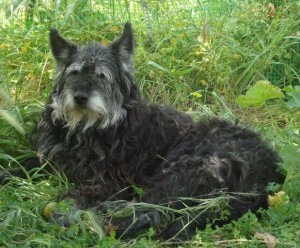 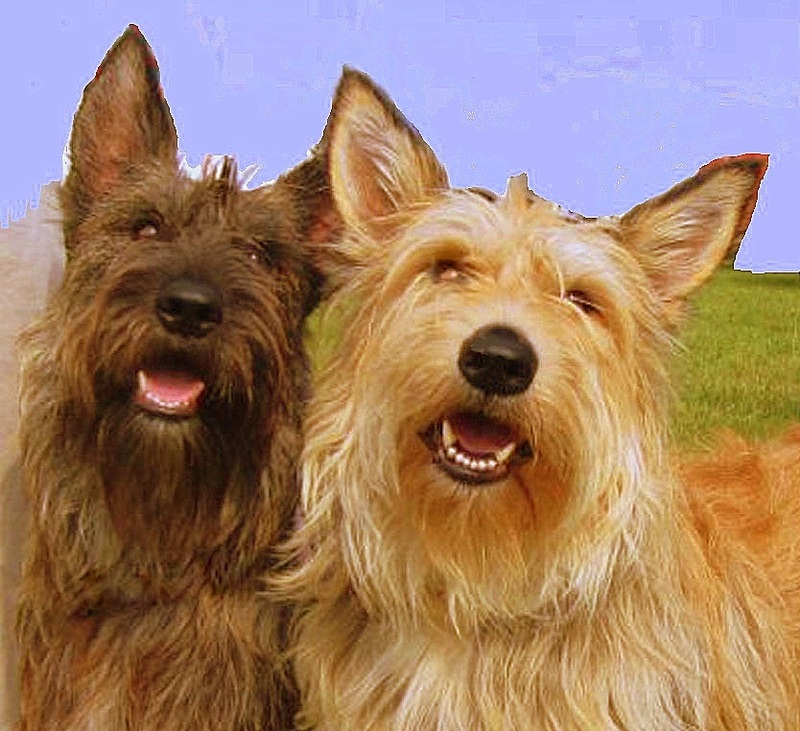 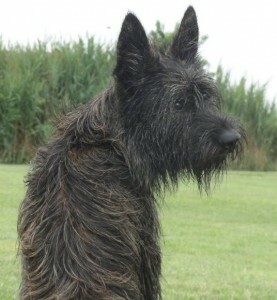 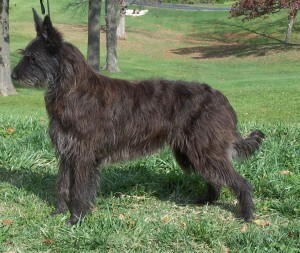 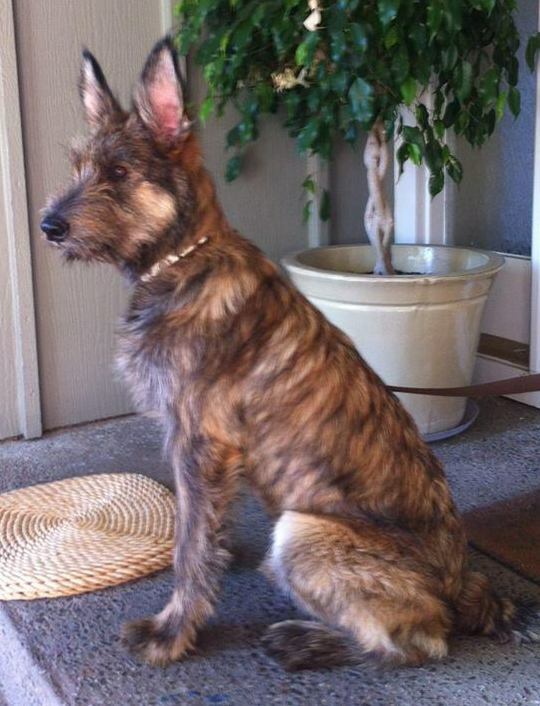 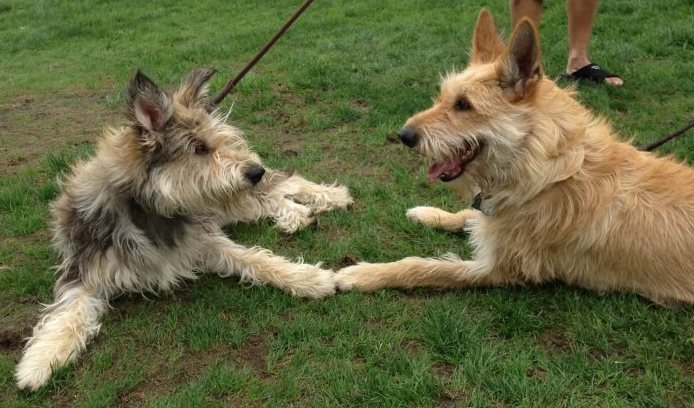 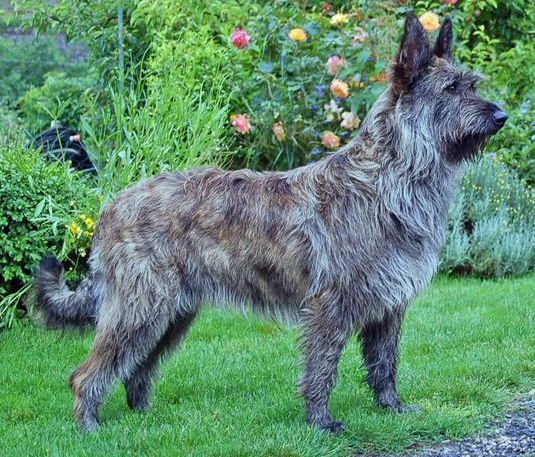 Fawn Brindle (fauve bringé) is a multi colored Picard with straw blonde as the dominant color. Brindle may be any shade of base color from almost black to light grey or fawn, with stripes or small patches of black, brown, red, grey, or fawn distributed throughout. 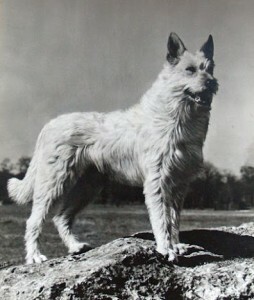 No big white patches permitted, although a slight white marking is tolerated on the chest and on the tip of the feet.